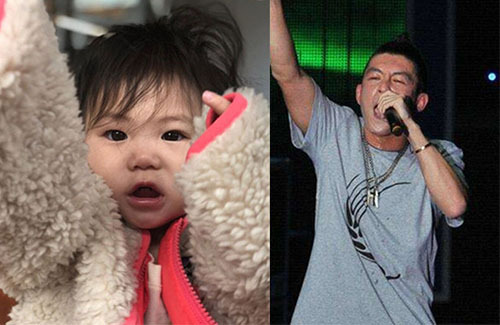 On January 19, Edison Chen (陳冠希) shared a picture cute picture of his daughter Alaia on Instagram, writing, “Wild, just like Daddy.” In the photo that Edison shared, Alaia had messy hair and wore a fluffy white jacket, with her hands waving in the air. She definitely resembled her father Edison, dancing and singing on stage. Alaia Chen was born in April 2017 and is now nine months old. Her mother is the supermodel Shupei Qin (秦舒培), who Edison has been dating since early 2015. The couple tried to keep the pregnancy low profile, but it was an open secret. After Alaia’s birth, Edison reportedly “settled down” and became a lot more family-minded. Rather than spending his nights out with friends, Edison would spend time wit Shupei and Alaia. Edison has also been sharing many pictures of Alaia on Instagram, sharing his happiness with his fans.